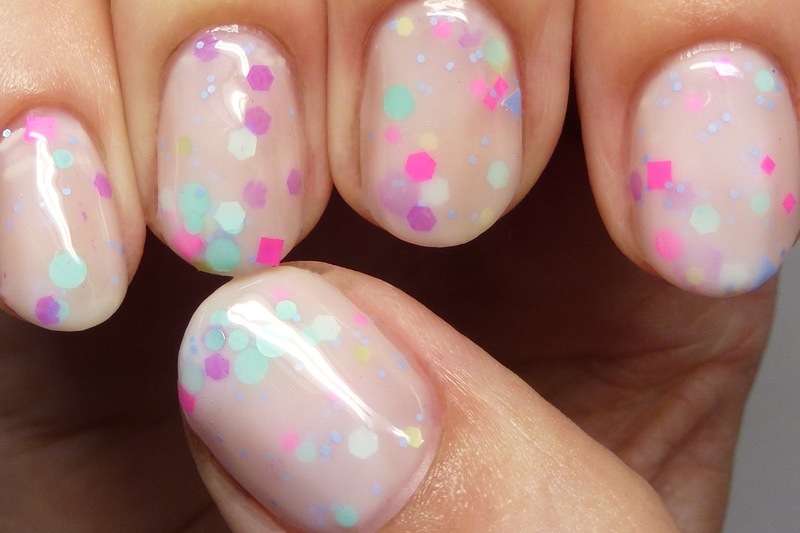 Cape Cod has cream, pink, blue, and purple pastel glitters, along with brighter magenta accents, all in matte finishes. 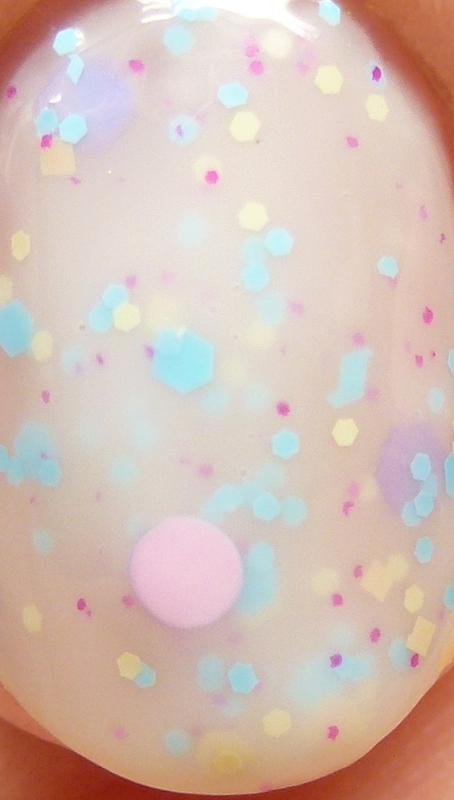 The base is a white creme-jelly. 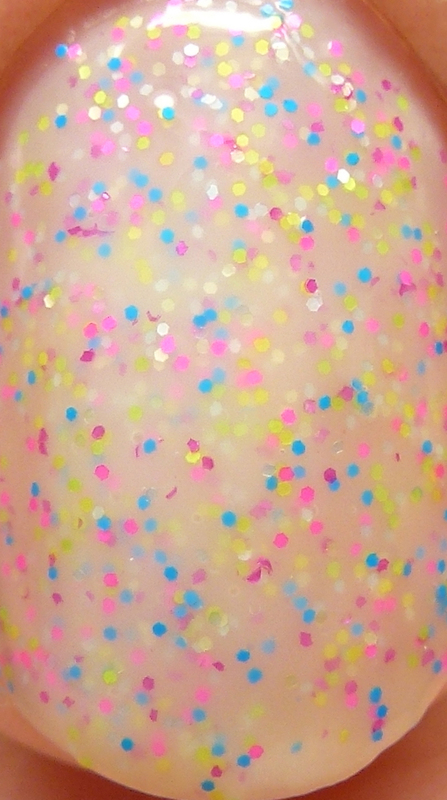 Hanalei Bay has pastel yellow, green, and perwinkle glitters, along with neon pink and purple, also all matte. The base is again a white creme-jelly. The glitters in this one are less dense and larger on the whole. 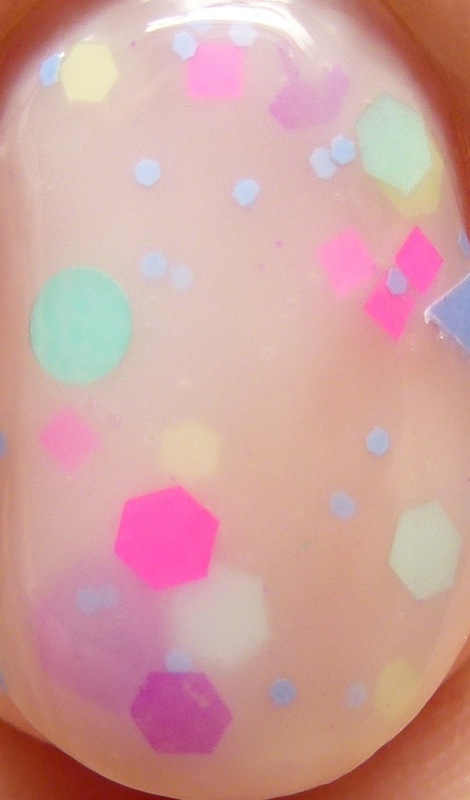 Waikiki has matte white and neon yellow, pink, blue, and magenta microglitters in white creme-jelly base. 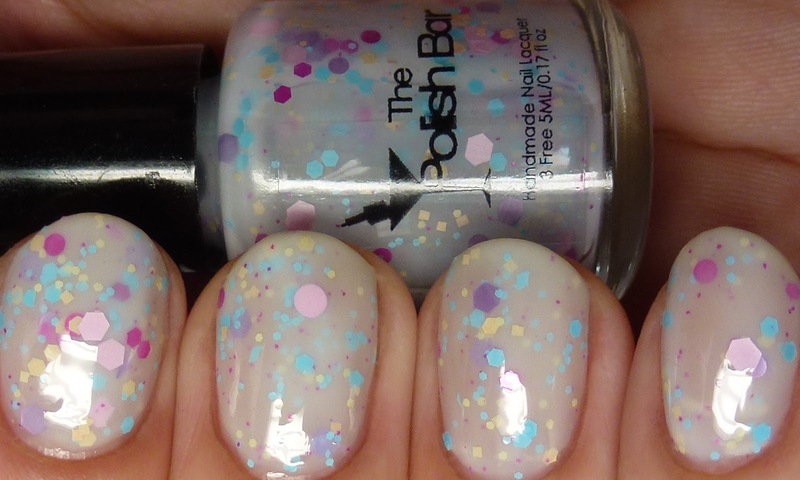 The mix of colors almost makes this appear to be a speckled neutral unless you look closer - I love the fool-the-eye effect! This was my favorite of the bunch. 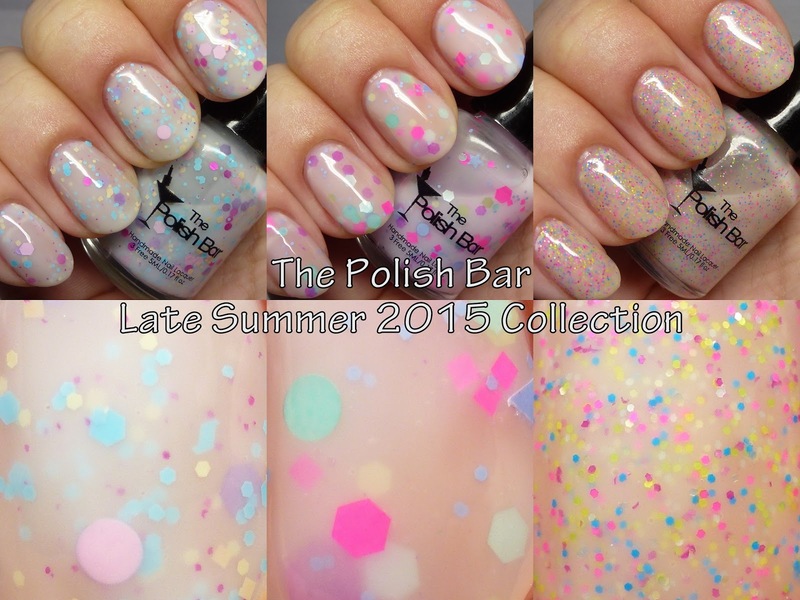 This part of the collection is a softer way to wear neon and beautifully combines pastel and brighter elements. Next, I will be back with the four neon holos from the Late Summer 2015 Collection! 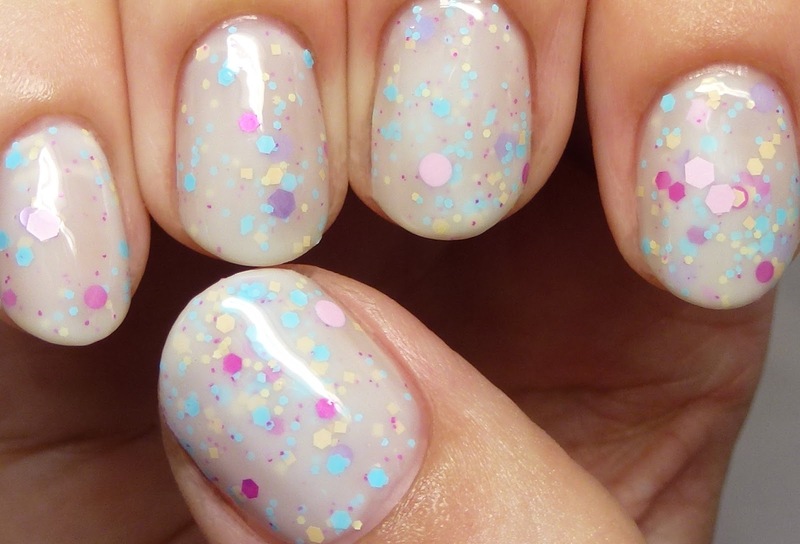 Are you a fan of white-base glitter polishes?